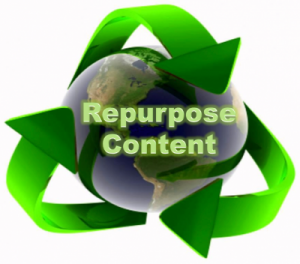 Looking for ways to repurpose content? Many companies struggle creating content. Marketing content is important, but pervasiveness of that content is even more important. Much like a spider casts a web far and wide; marketers must cast their content in a similar manner. However, instead of getting worn down trying to create new content for each marketing channel (LinkedIn, Facebook, blogs, etc.) repurpose content for each marketing channel. To start improving inbound marketing create one piece of content. We recommend writing a blog article as your starting point. Keep blogs short and rich with insightful information. Think about who your audience is. Ask yourself, who will read this content and why would they read it? Once your blog article is created repurpose your content on the internet to allow potential buyers to easily find your company. We came across Brody Dorland’s post, A Lesson in Content Repurposing, Infographic Style. Brody provides a very useful infographic with some print instructions to hang the graphic in your office. The graphic outlines 12 things marketers can do to repurpose content and improve inbound marketing. We’ve also pinned it to the side of this post for your convenience. Click on the image to see a larger view. Finally, close the loop and measure ROI of your content. We suggest using lead tracking technology such as ours to help you automatically scan inbound leads, qualify, distribute and nurture them. Follow these steps to repurpose content and measure content ROI. Your sales team will be chanting your name! 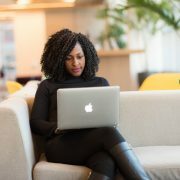 Ping us using the short form on this page to learn more about how our technology can help you get the highest return on your content creation dollars.